Police are warning the public not to make false calls to PSNI Call management centres - as it could have serious consequences. In a Facebook post police said: "PSNI Call Management Centres receive a huge number of genuine emergency and non-emergency calls from the public every day. "Unfortunately a small number of people misuse the telephone to make false reports or abuse our staff. This behaviour significantly impacts on our ability to answer genuine calls quickly. A woman in England has recently been dealt with at court for this behaviour." 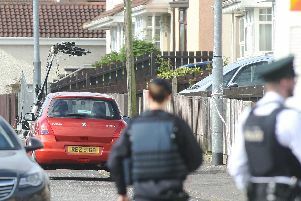 The post added that the PSNI previously had to take similar action against persistent offenders. The post added: "Please use the telephone appropriately to contact Police. In an emergency use 999, for all other matters, call 101.